Come on out and visit our on-farm-store. The Farm Store is open on Saturdays 10am - 5 pm. We encourage everyone to order online. Pick Up can be arranged for weekdays as well. We currently accept cash, check, credit and debit cards in our farm store. 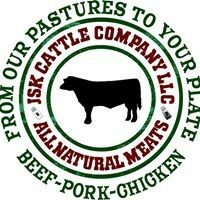 You will find a wide selection of our most popular products such as pasture-raised eggs, beef, pork and chicken, as well as local products from Soukup Farms, Phonecia Honey Co., Wildtree, and others. To order from our entire selection of products we encourage you to place an order online for our on-farm pickup which is every Saturday at the store.